can’t access email or this blog very easily. So please bear with me. Hope everything goes well…I will miss you. Blogger’s been a mess today too. Must be the President’s fault. He doesn’t want us to compare gas prices. When you feel better–or the computer does–stop by and visit my MM. I hate computer problems. Hope everything works out and you don’t lose anything. Let us know when you are back. arg, what a PITA. 😦 hope it gets resolved quickly. i know i’d go crazy w/o computer or internet access myself. Hope your problems are resolved soon! It’s so frustrating to not be able to use the computer. Sorry about the computer issues. They can be really frustrating. I hope it comes together for you real soon. Hope you are back up soon! Miss reading your blog. I know the feeling, Rowan. Look forward to reading you soon. I hate it when the computer will not cooperate! 😉 We will be here when it get’s better! I hope things are up and running soon, and that you have an expert fixer already. Yuck I hate having pc issues.. I hope you get yours solved very soon! Yikes! Good luck with your recovery efforts, hope ya don’t lose anything. sorry to see you are still down. i hope everything is ok w/ y’all other than the pesky puter probs. miss ya! I think you need to go to the library and post a blog because I am missing you! I know you can’t get in, but I’m dropping a note anyway to let you know that it’s just not the same around here without you! I hope you’re all doing well. 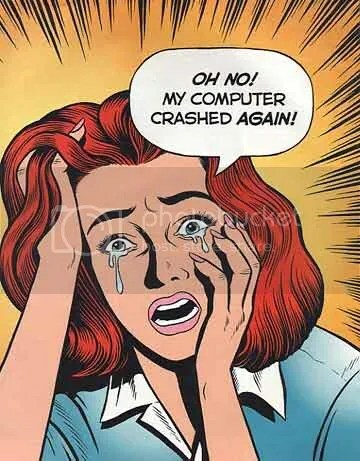 Hope you’re back up and running soon! It came up on bloglines that you had new posts and I was so excited! Then, no! My hopes were dashed. I miss you! This is a note to all of you who regularly follow Daughter # 1’s blog. The computer is being sent back under warrenty for repairs. This weekend Kajsa got a kidney transplant. Patient and kidney are doing well so far. Congrats on the kidney. Glad to hear all is well. Hope to hear about it soon.